After 8 months living here, I finally went to try the massage here. 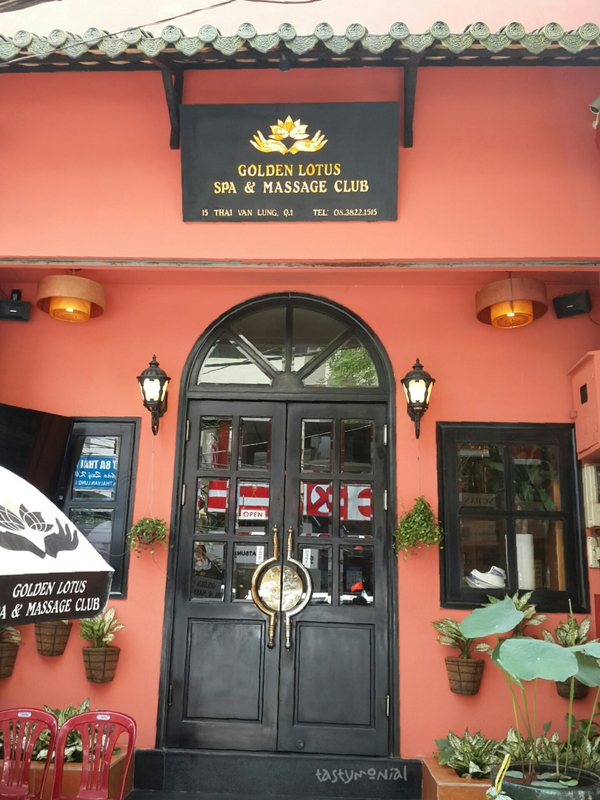 There are several good massage places in Ho Chi Minh City, but this time I tried Golden Lotus. The reviews are good. Their price is a bit higher than other massage place though. I tried the one in 15 Thai Van Lung Street, District 1. I went there with my husband. We needed a massage to let go off all fatigue (yes, we did!). Upon entering the building, they asked us to take off our shoes, and wait at the waiting room. They gave us the menu and served cold tea. 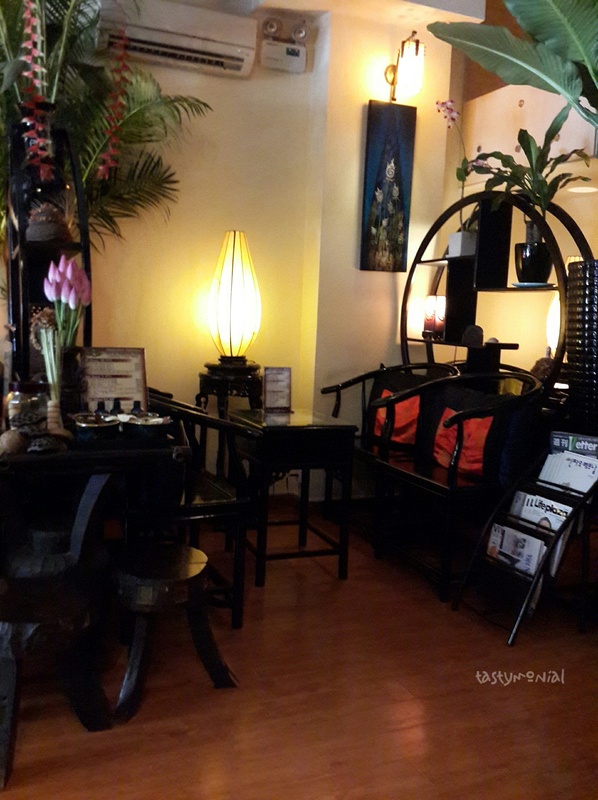 We chose 60 min Golden Lotus Body Massage. They gave each of us a key for locker. The changing room for man is at 1st floor, and for woman is at 2nd floor. I went upstairs and there was someone waiting already. She showed me the changing room. I looked for my locker number and put all my things there. She gave me clothes (a shirt and a short pants) to change. After i’m done, she asked me to go to next floor, and there was someone already waiting again but this time is a guy. He showed the bed for me and for my husband. It was on 4th floor, the massage room. Once you go in, you can’t talk, can’t call, just stay quiet. The room is filled with beds and partitions, and it has dimmed light. Looks like a very peaceful place (and it is!). We waited on our beds ( we got bed next to another). Two young ladies entered the room and went to each of us. I got a small lady, but i was pretty sure she is strong (do not get tricked by how they look! lol). She asked me to lay down on my stomach, put my face on a hole, and she put a blanket on me. Before started, she asked me if I want strong or soft massage. I told her medium haha. And there she goes, started from my back, my shoulder, then my legs. She bent and twisted my body and legs sometime, and she asked me to relax. I couldn’t do it lol. After that, she asked me to turned and lay down on my back. She put a small towel on my face, covering my eyes. This time she started from my legs, my arms, went to my shoulder again, then my face and my head. Lastly, she asked me to sit down, she put a pillow on my back, then she lifted me on my back! “Relax, relax” was what she said again. I tried to do it, even though it was very hard for me >_< I don’t get it how people can fall asleep when they go to massage place, I can’t even relax for long period of time lol. As we finished with the massage, we went back to changing room. They have shower and sauna facility but it’s not free. I changed back to my clothes and left their clothes on bench, grabbed my locker key and went downstairs. A lady welcomed me again and asked me to sit, and she served hot tea and some snacks. 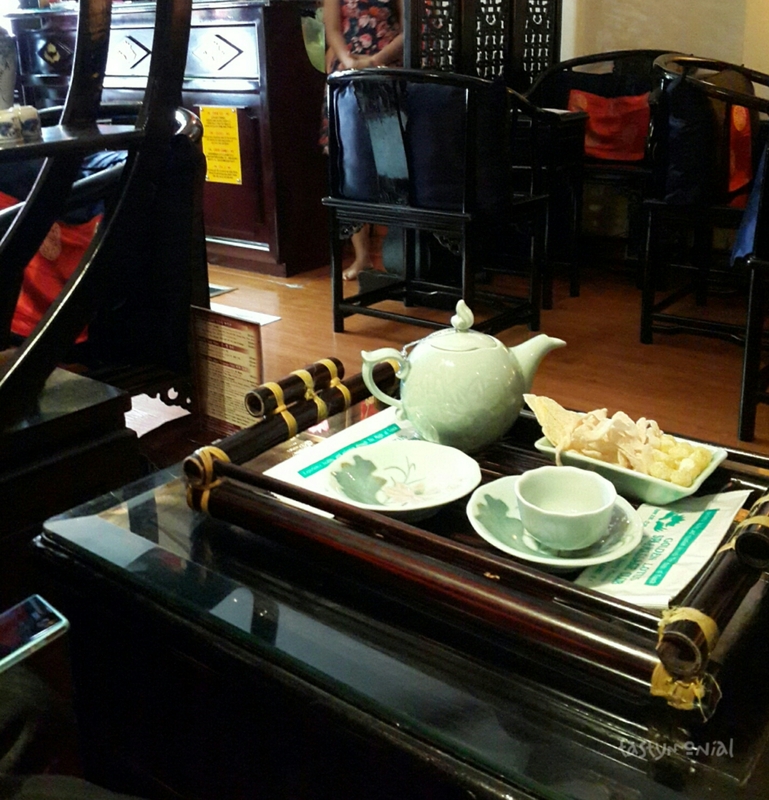 The tea was good, but the snacks were to sweet (they are lotus seed, coconut and nutmeg in sugar).